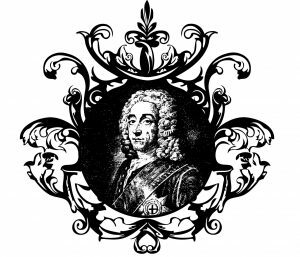 Fleming and Howland’s family’s tradition of upholstery craftsmanship can be traced all the way back to the late 18th century. Throughout four centuries of industrial, economic and social change, Fleming & Howland has evolved from a “2-man workshop” to the mid-sized company that aims to perpetuate the British tradition of upholstery. Below are a few select milestones of our history. It started with Solomon Howland. Born in 1761, he was the son of a cordwainer, and seemed destined to go into the family business. Indeed, that is exactly what he did until, at the tender age of 19, he spotted an opportunity and branched out into a new trade – chair making. Like others in the business at the time, Solomon worked on his own, at home, completing just one of the many specialist tasks that were involved in making a chair from scratch – in his case, covering ready-made chair frames with deep-buttoned upholstery. 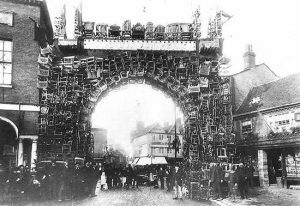 The area in and around High Wycombe became the biggest producer of chairs in the country thanks to the beech, elm and ash woods that surrounded it. Nephew George Howland, born 1848, moved up to Ancoats, Manchester in 1876. In the 1881 census George is shown as ‘Chair maker employing 2 men’ initiating the very first production facility. George’s son, Charles Alfred (4th generation), began his chair making occupation at the age of 15. By this time, expertise and knowledge of the craft became fully established in the north as Manchester’s textile industry was at its peak. It was around this time the word ‘Chesterfield’ was used to describe the deep-buttoning technique used by the Howland family. Possibly named after the Earl of Chesterfield, a known trendsetter who famously commissioned a deep-buttoned leather sofa ‘with arms and back of the same height’. With workshops springing-up all over town, young apprentices were in much demand. 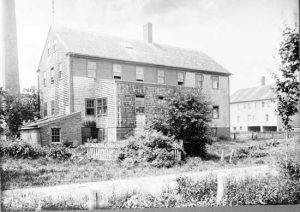 In 1959, John Howland (5th generation), took on his eager nephew, John Fleming, as an apprentice. At the age of 22, John Fleming used a £46 tax rebate to buy a sewing machine and other upholstery equipment, and set up on his own, renting a room above a shop in Miles Platting. Over the years, ‘John Fleming Upholstery’ grew, to the point where it employed around 150 people, while at the same time maintaining a smaller, specialised unit making bespoke Chesterfields. Cheap Chinese imports flooded the market causing mass closure of many UK manufacturers. John’s specialist unit survived, preserving the Howland’s time-honoured skills. 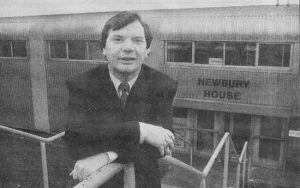 John’s son Paul, who had been involved since he was a boy, officially joined the business in 2002, followed by his daughter Sylvia in 2011. The family firm was rebranded as Fleming & Howland, a name that signified the union of the two families and the best of past and present craftsmanship. After acquiring a second workshop in Kent, F&H invest in their ‘Revival Project’ initiating an extensive revival of archived designs. F&H introduce exclusive colours in the form of the Monochrome collection. Such unique tones can only be achieved by applying the dyes by hand with a rag. This hands-only technique creates the softest patina possible, surpassing any other tannery-produced leather currently available. 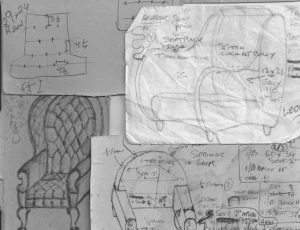 ‘The Anatomy Of A Stuffed and Stitched Chair’ by Fleming & Howland. Celebrating British furniture making, the book gives a rare insight into a brand known for their modesty. The book captures in step by step format how an object of beauty and great design is lovingly crafted. F&H become founding members of the Chesterfields Trade Association. 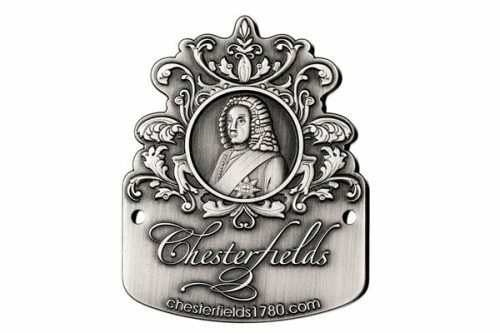 The CTA represents the high standards required to produce an officially certified Chesterfield and in turn protects the consumer by safeguarding the heritage of such an iconic British design.